Hi beauties! Are you having a Christmas present buying block? 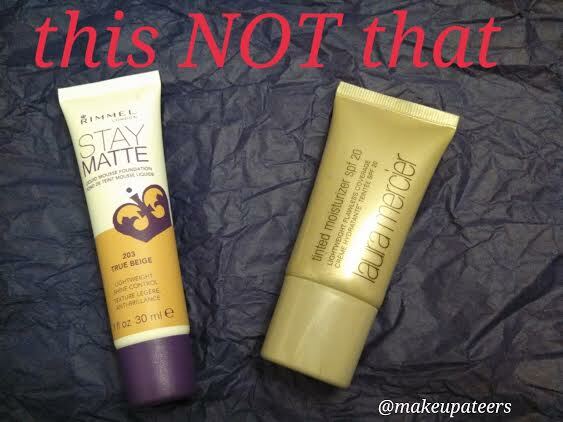 Well, I have some great gift ideas for the beauty lovers in your life! 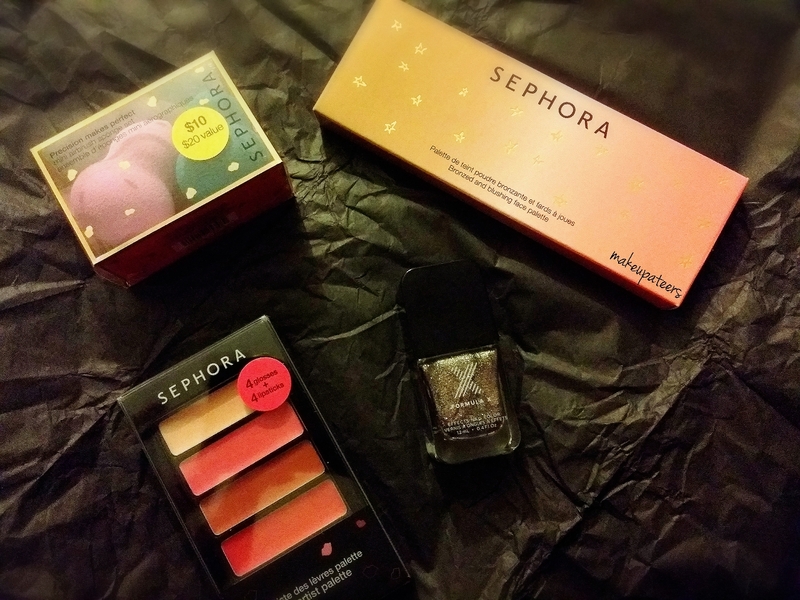 Sephora has some great gift sets out right now that are also budget friendly! SEPHORA COLLECTION Precision Makes Perfect Mini Airbrush Set – $10- Originally a Sephora Black Friday deal, these sponges make for a budget friendly dupe for the beauty blender. 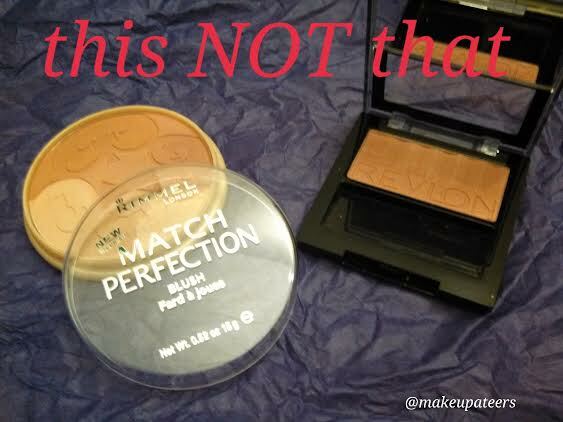 This item is currently sold out online, but can still be found in local free standing Sephora’s or Sephora JCP. Formula X: The Ombre Glitters in Capricious– $ 12.50- This beautiful limited edition polish, gives an ombre effect when light hits it a certain way. Capricious is great for mixing up that holiday mani! Its a perfect winter shade. Very wearable this time of year, no matter what your profession. SEPHORA COLLECTION: Bronzed And Blushing Face Palette- $15.00– This limited edition palettes is beautiful and budget friendly. The palette holds a universal bronzer perfect for most skin tones, a classic blush color that looks great on everyone, and a bold blush to help you achieve those more daring looks. Moving into the bigger gifts! Buying a fragrance for someone is not an easy task, especially if you don’t know the kind of scents they like and body their body chemistry. The perfume sampler is a great way to try out some new fragrance and it also has a great price tag! This set contains six perfume samples of the hottest scents on the market today. Out of the six, you will then take the scent certificate to any Sephora or Sephora JCP to redeem it for your full-size roller ball. 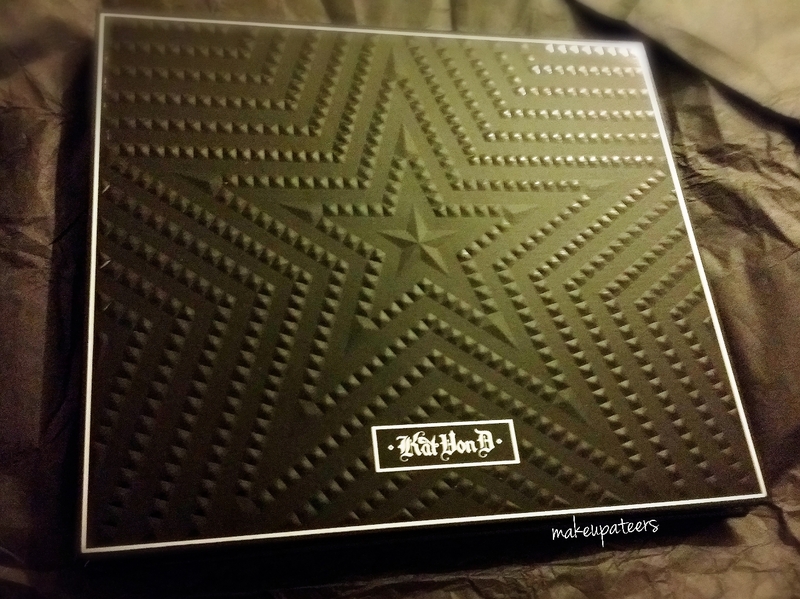 Kat Von D: Star studded eyeshadow book ($55 on sale for $30!) 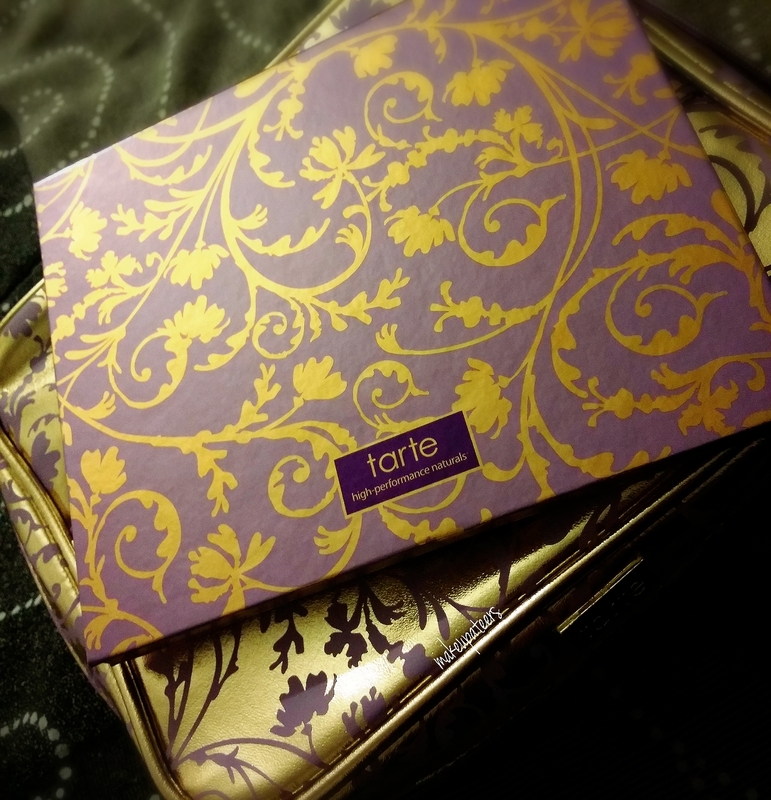 This palette is very versatile, perfect for creating that eye catching holiday look. 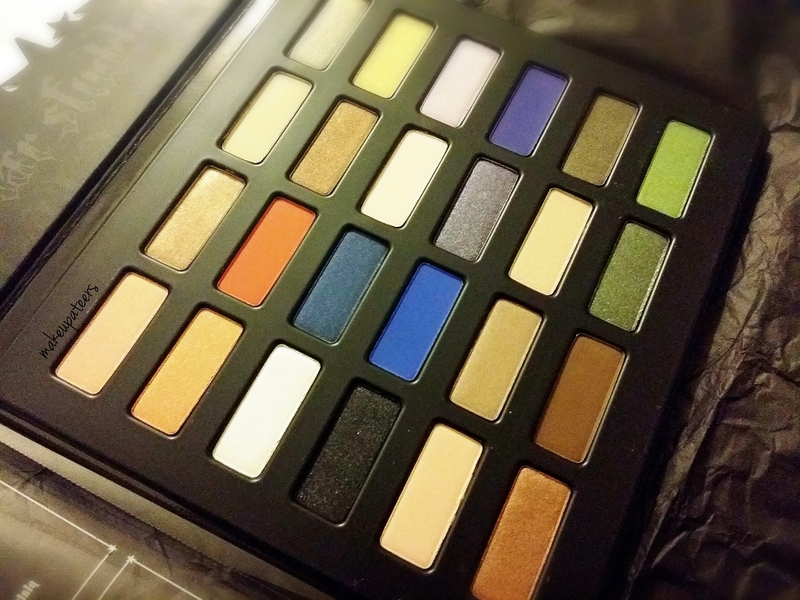 Kat Von D is known for the amazing pigment and quality of their shadows. You’re sure to love this limited edition holiday palette. 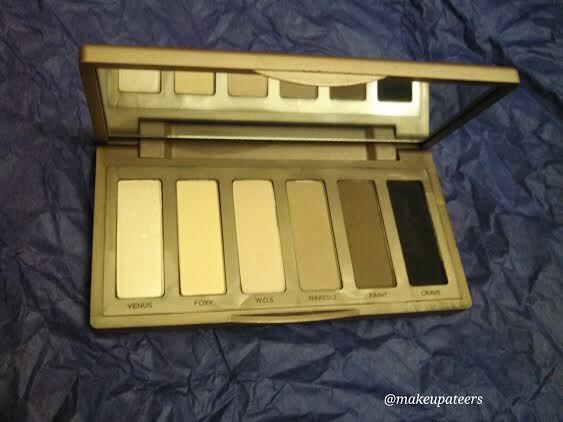 This palette can no longer be found online, but check your local Sephora stand alone store or Sephora JCP. 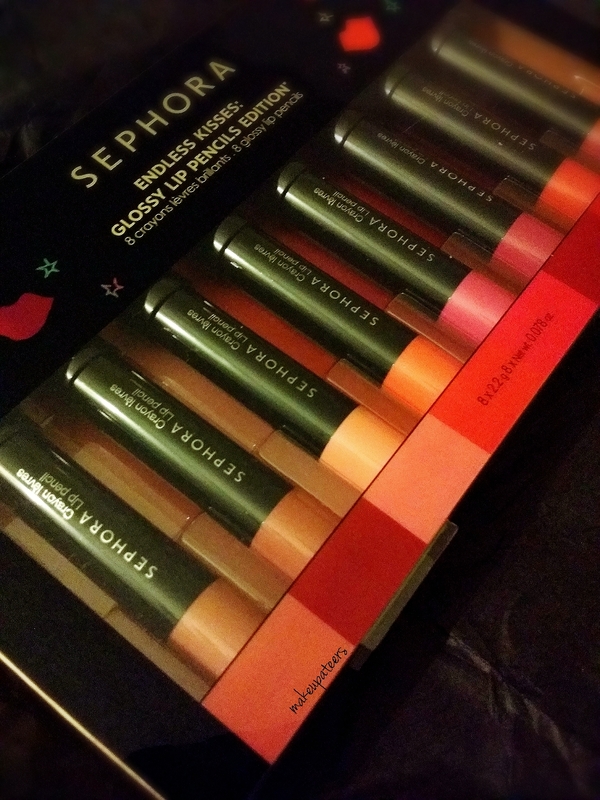 A limited edition holiday set of 9 long-wearing demi-matte lipsticks. 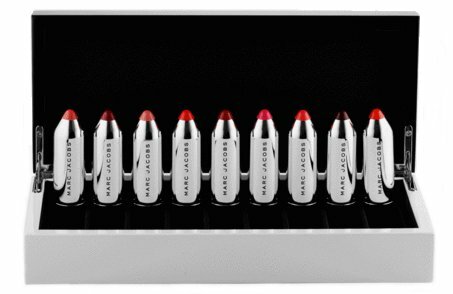 This is the perfect luxury gift for the lippy lover in your life! There is a large array of colors from nudes to pinks, reds, a berry color and even some orange. There’s something for every lipstick wearer here you can’t miss with this set! SEPHORA: Endless Kisses Glossy Lip Pencils $28.00: This limited edition lip pencil kit contains eight glossy lip pencils in an array of colors ranging from naturals, purples, pinks, and reds. The best thing about this kit is you can give it as one big gift or break it up into color ranges to give as multiple gifts. The holidays are a busy travel time. 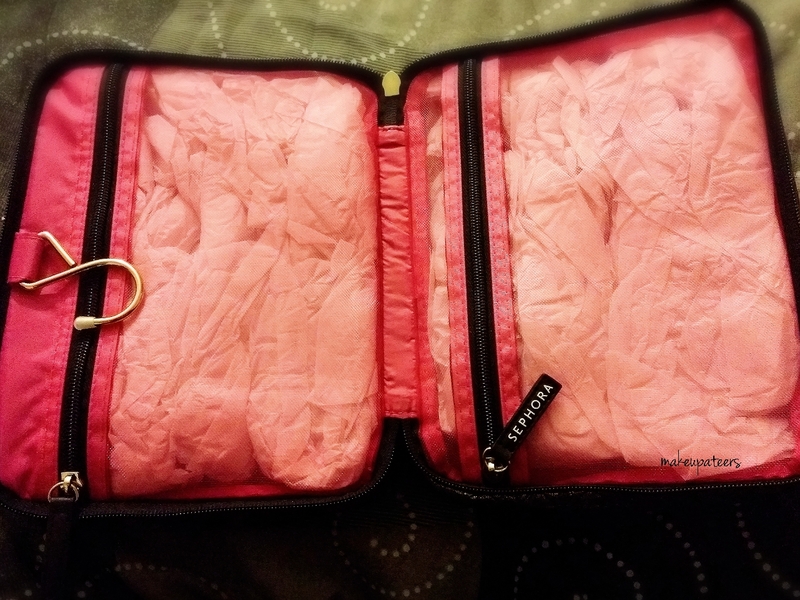 When it comes to packing my beauty items for travel, I want to bring everything safely and efficiently. Sephora has some great options available for holiday travel! 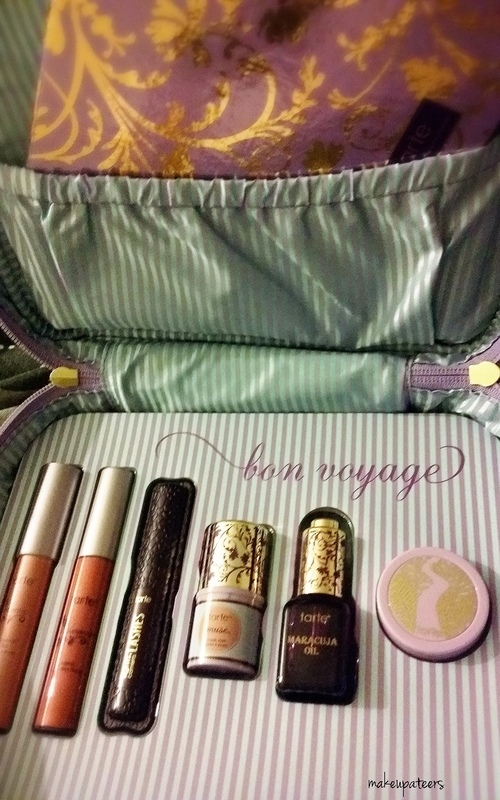 Tarte Bon Voyage Collector’s Set and Travel Bag $59.00: Can we take a minute to admire the packaging on this kit–Gorgeous! With this kit you get a travel bag filled with beauty essential for an everyday look. 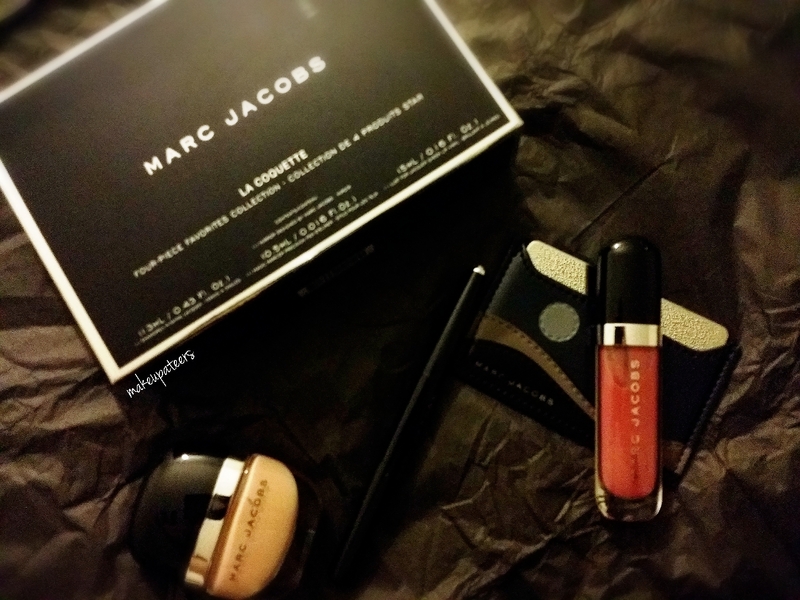 Marc Jacobs Beauty: La Coquette Four piece Favorites Collection $55.00: Who wouldn’t want this luxury four piece set? 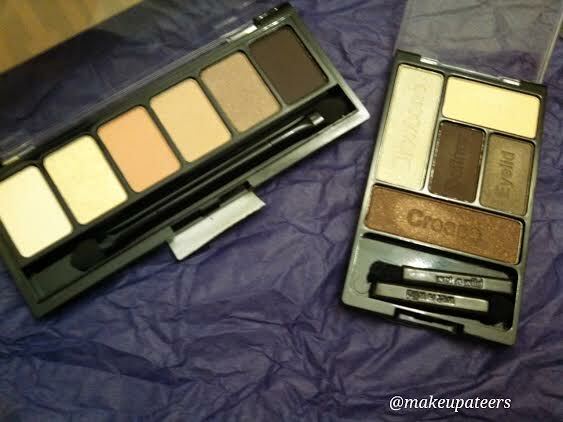 It has everything you need for a natural, polished, put together look-without needing to try! 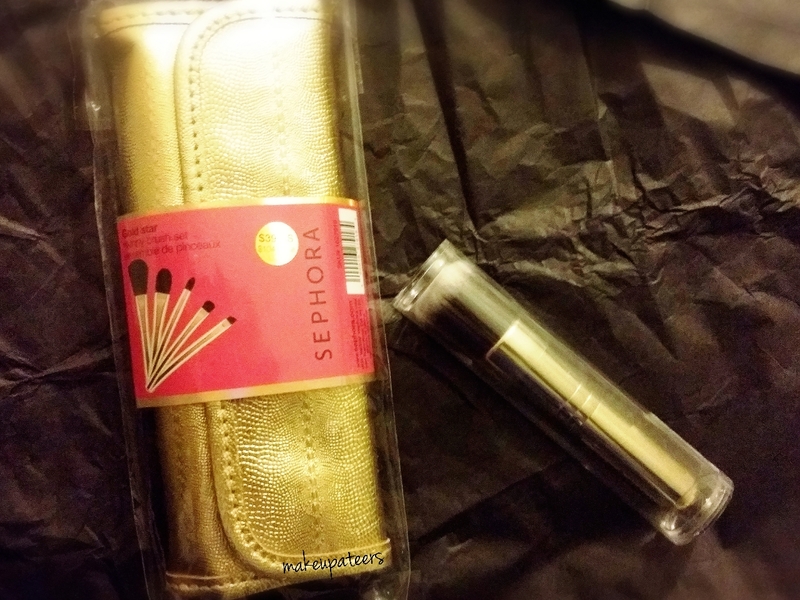 Sephora Collection: Gold Star Skinny Brush Set $39.00: This is a limited edition gold 5 piece brush set that comes with a matching clutch. 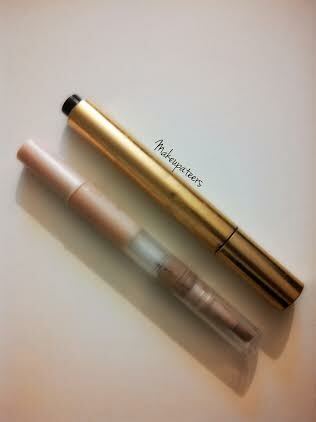 It includes a powder, foundation, crease, shadow, and liner brush. The clutch included in the set keeps all of these everyday essential brushes safe and clean during travel. Also, if you aren’t much of a traveler this set would be great to just throw in your purse for touch ups throughout your day! 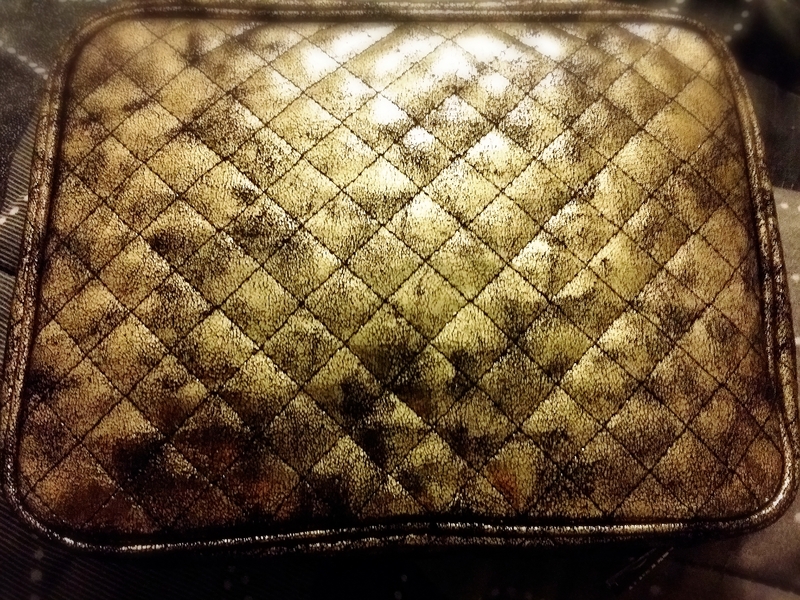 Sephora Collection: The Weekender- Gold Star $38.00: This is a limited edition makeup bag made with travel on the mind. It unzips to reveal two zippered compartments inside. These make the bag perfect for organizing during travel. 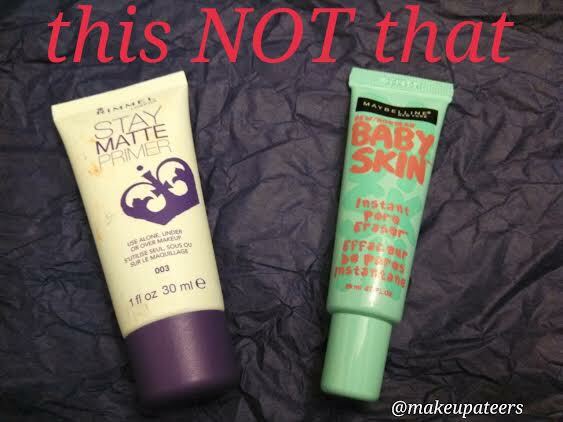 You can keep makeup items in one and jewelry or toiletries in the other. The design of this bag includes a hook for hanging while you’re away, which will make your morning travel routine swift and simple. Because these items are limited edition they’re selling out fast! 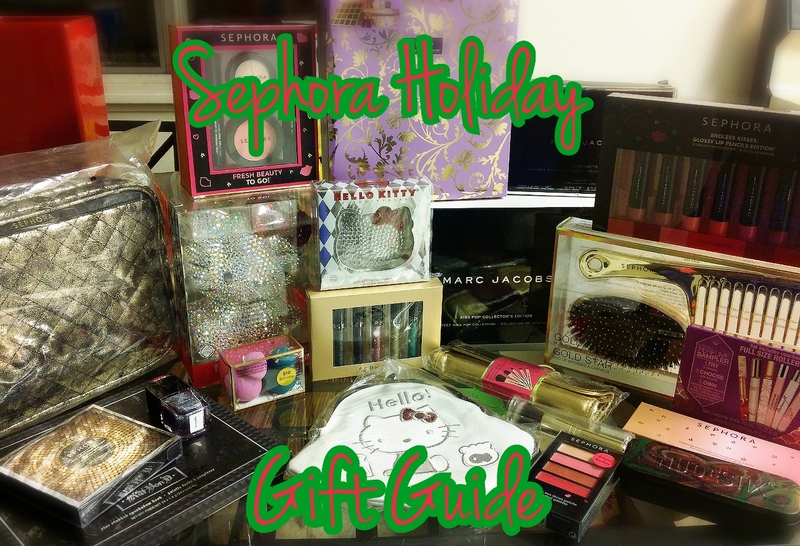 So make sure to run to a sephora near you to pick up all your holiday goodies!! I hope this guide was helpful in picking some last minute gifts for the beauty lover in your life! Have a Merry Christmas and Happy New Year’s!